The appellate attorneys at Kassouni Law have a reputation in the industry for offering honest legal advice. Whether you are looking for legal analysis on the merits of an appeal, or need litigator in the courtroom, our attorneys are here to help you navigate the appeals process. 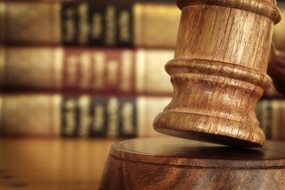 In certain circumstances, cases can resolve in the trial court before there is even a jury or court trial. There are two primary circumstances in which this occurs. Cases are often resolved through a legal proceeding called a Motion for Summary Judgment. In this proceeding, the court will issue a judgment for the plaintiff or the defendant on the grounds that there are no material factual disputes, and that the matter can be decided by the court as a matter of law. If there are material factual disputes, the court cannot issue a summary judgment. For example, suppose you are a plaintiff in a personal injury lawsuit and you are seeking damages for injuries sustained when the defendant allegedly ran a red light. If the defendant files a motion for summary judgment, he or she will have to establish that there are no triable issues of material fact and that the judge can rule in favor of the defendant without a trial. If the defendant files a sworn declaration stating that the light was green at all times, the plaintiff will have to counter that with his or her own declaration stating that the light was red. If both conflicting declarations are filed, the court will be unable to grant the motion for summary judgment because there is a factual dispute which only the trier of fact can resolve after hearing testimony. The trier of fact in usually a jury. In some types of cases, only the judge will decide issues of fact without a jury. This is called a bench trial. As you can see, cases are often resolved when the court grants a motion for summary judgment. Fortunately for the appellant, the court of appeal will not review the matter with automatic deference to the summary judgment ruling under the substantial evidence standard of review. On the contrary, the trial court will review the judgment under the de novo standard of review. This means that the court of appeal will review all of the evidence in favor of, and in opposition to, the motion for summary judgment ruling and determine whether the trial court judge made the right decision. The judgment will be reversed if indeed there were material facts in dispute, or if the judge applied the wrong legal standards. Cases are also often resolved prior to judgment based on a legal proceeding called a demurrer. In this proceeding, the defendant will argue that even if it is assumed that the facts as stated in the complaint are true, judgment must still be entered for the defendant based upon the law. A common example is the statute of limitations. If the claim was brought after the statute of limitations has run, the demurrer will be granted. It is vitally important to retain an attorney who understands the intricacies of the summary judgment and demurrer process. On appeal, the attorney can explore all of the deficiencies in the grant of summary judgment, or, alternatively, defend the grant of summary judgment. The Sacramento appellate lawyers and Los Angeles appeals attorney teams at Kassouni Law have substantial experience in the intricacies of summary judgment and demurrer proceedings.